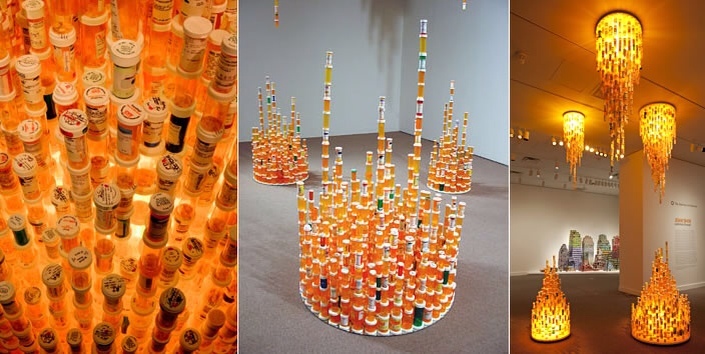 “Chemical Balance” is an art installation by Jean Shin. 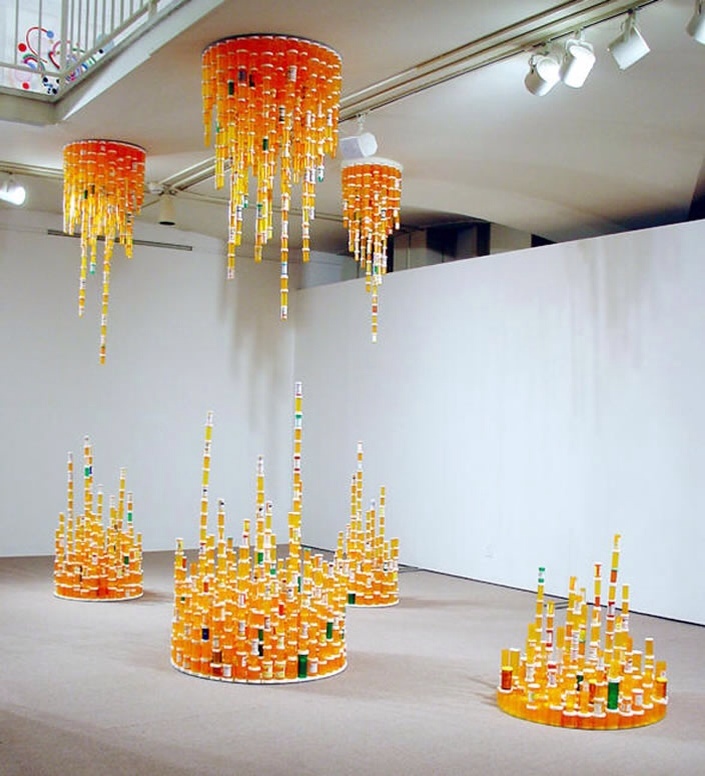 He used thousands of recycled pill bottles to make these chandelier style objects. 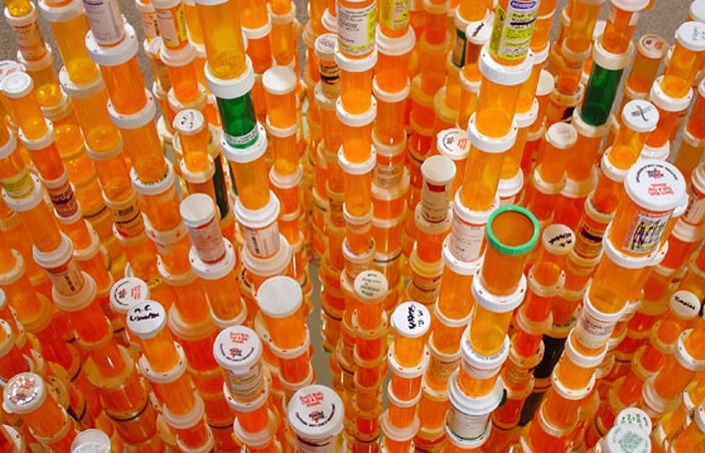 To create this work, thousands of empty prescription pill bottles were collected from nursing homes, pharmacies and individuals’ medicine cabinets. Like stalactites and stalagmites, the constructions hang down from above and grow upwards from the floor below. Chemical Balance speaks to our culture’s over-consumption of prescription drugs and our bodies’ dependency on these medications. The piece acts like a group portrait, mapping our society’s chemical intake. The illuminated structures radiate with an intense orange glow, suggestin that issues of health reach far beyond the physical.